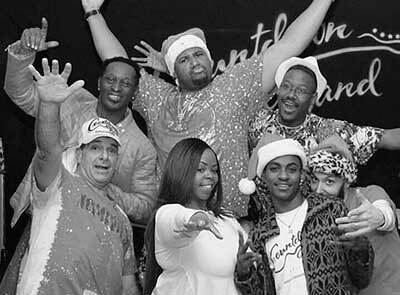 Countdownband is one of the region's premier high energy party bands. We cover a wide range of music from pop, rock, 80's, 90's and current top 40 radio hits. We are available for weddings, bar mitzvahs, private parties and all sorts of special events. We are currently playing venues in the Baltimore area, MD, VA, DC and PA. Please see our contact us page to get in touch with us for your event. Our setlist include songs from artists like: Michael Jackson, Whitney Houston, Lady Gaga, AC/DC, B52s, Bruno Mars. Maroon 5, Journey, Beyonce, Adelle, Robin Thicke, Prince, Usher, Earth Wind and Fire, Jill Scott, James Brown, Chaka Kahn and Frankie Beverly. Vince Sanzone - Founder and Bass Guitar. Kevin Spriggs​ - Vocals and Percussion. Mike Graziano - Guitar Player. Lamon Sandidge - Keyboard Player.